HUGE Ship Party — CANCELLED! Beta Pirates . . . I’m so sorry to inform you that the HUGE Ship Party has been cancelled until sometime later this week. Read More On Jack’s Captain’s Log. We’re throwing a game-wide ship party this Wednesday at 7:00pm Eastern! 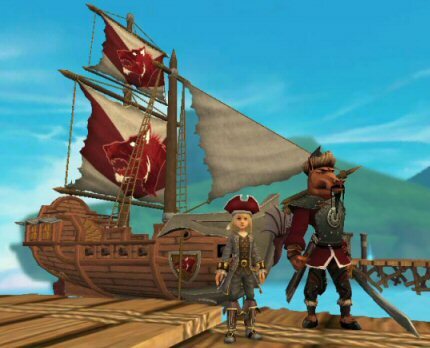 Bring your best ship and prepare to recreate your own version of Flotsam with all the other players of Pirate101. After a few cool screenshots of our groups, we’re encouraging the entire fleet of players to destroy Cutthroat and Waponi ships in a giant mass as we all slowly sail our way to Jonah Town! What: The Beta Ship Party! Who: Everybody in Beta who can captain a ship of any kind! Come meet other players and introduce yourself! 1- to get a lot of users online at once. 3- TO HAVE FUN! We know when the game launches our awesome players will find every reason to party, and we think that’s awesome.